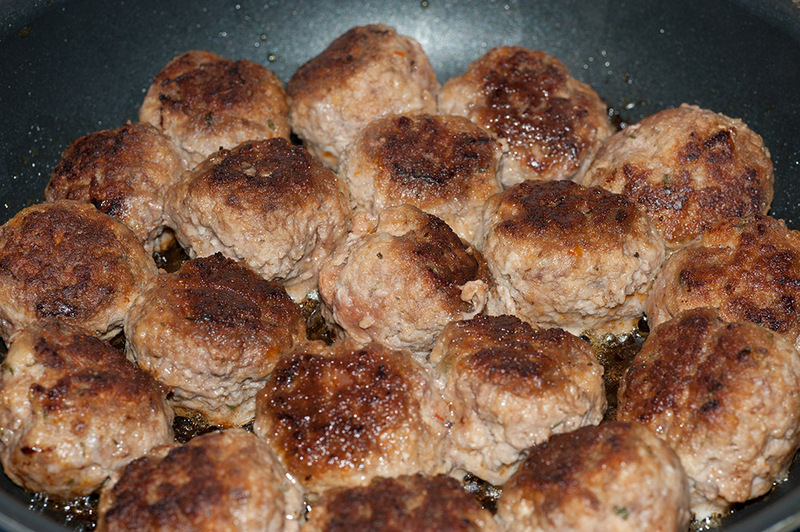 Meatballs; they're easy to make, no matter what recipe you use (or maybe you don't use a recipe at all). 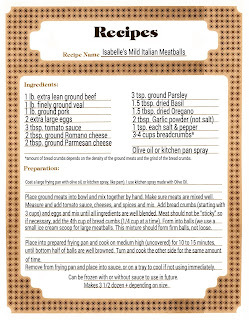 My mom's meatballs were "legendary" ... at least on my mother's side of our family (Scottish family). Although we ate these fairly regularly while growing up, they were also something that was part of the expected "Christmas fare" for anyone visiting us during the Christmas season. 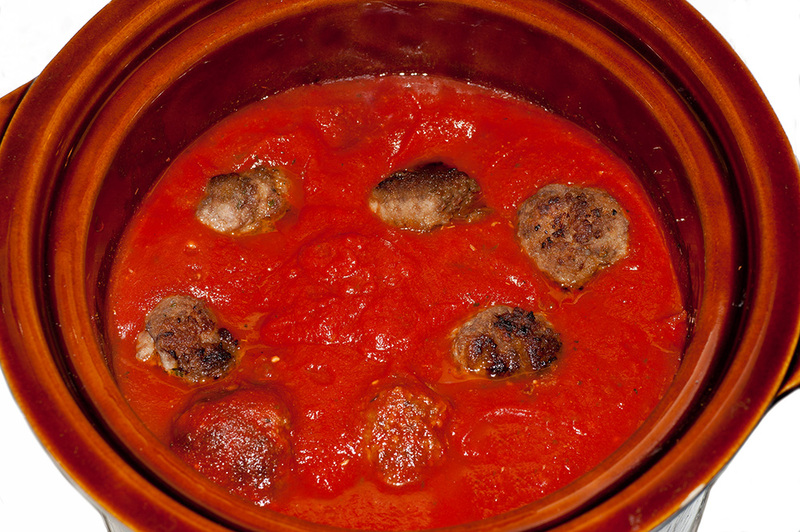 Mom always had a crock-pot of meatballs and her homemade tomato sauce "on the go". I guess because they were part of many of our dinners at home, we didn't particularly see them as special, other than they weren't as spicy as meatballs we'd eaten at restaurants or other homes, but we did come to discover at some point growing up that not everyone made their meatballs with the same ingredients my mother used. Where the meat ingredients originated, I don't know. Most people I've given the recipe to were surprised by the types of meat in them. I've seen similar recipes on a few cooking shows on TV, but they included only two types of meats (veal and beef) and didn't include the sauce or cheeses. Most of the spices my mom used were dried (though when she grew her own, she'd grind up fresh parsley), including the garlic. My mom didn't love garlic (didn't even like it), so garlic powder (as opposed to garlic salt) was her choice and I think that probably accounts for the milder flavour. The preparation is pretty basic - dump all three meats into a bowl (veal, beef, pork) mix them up with the sauce, cheese (romano and parmesan), spices (basil, garlic, parsley, oregano, salt & pepper), add the eggs and bread crumbs and mix them up. 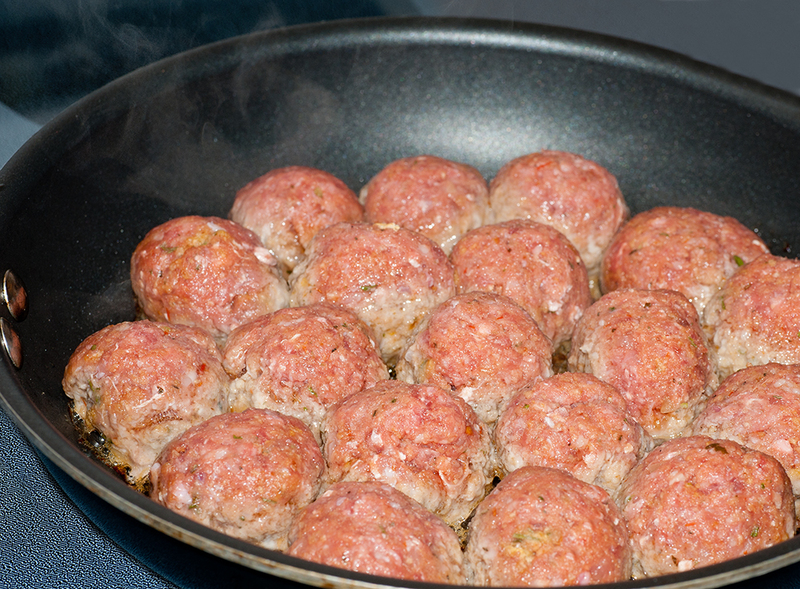 Form them into balls, cook in a frying and pan and either serve or store (freezer or fridge). It's pretty simple, but it's what goes into them that makes them a little different than what my mother's family was used to. For us, these were eaten hot with pasta of all types, but also eaten cold, right out of the fridge. 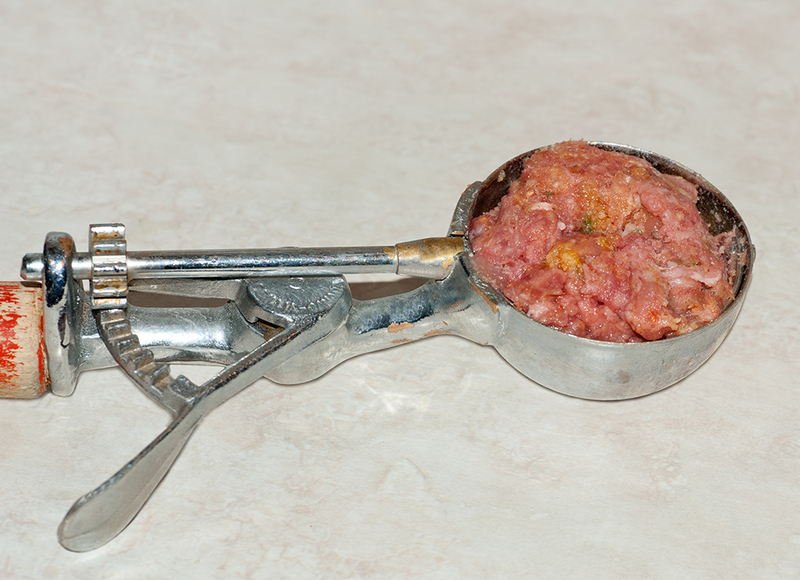 My dad would grab a fork and toss a couple of cold meatballs (right out of the sauce) onto a plate and just eat them as a snack, cold. Sometimes, my mother would slice the meatbals into three even sized slices, and using two or three meatballs make a cold sandwich of them for my dad. I still do this sometimes for myself. It reminds me of home, and of my parents but apart from that, I just like them that way.